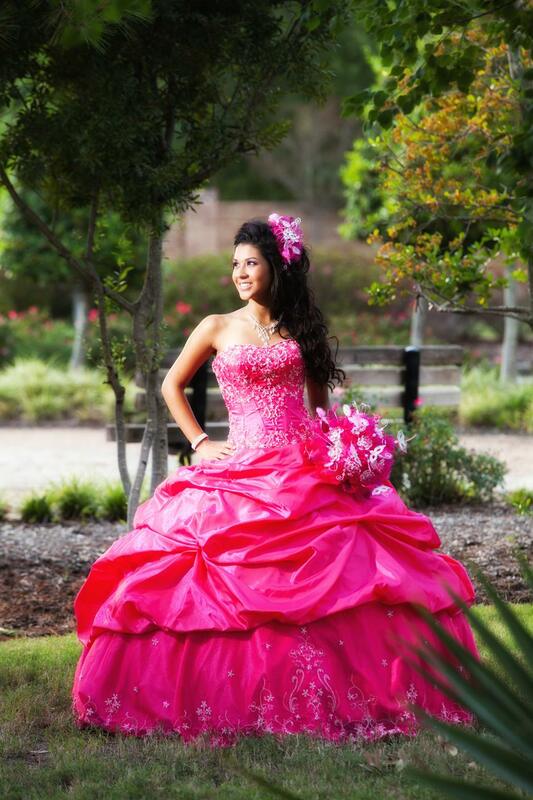 Moms: Hiring the right quinceanera photographer in Austin can be difficult if you don't know where to begin. There are so many photographers in and around Austin that it can be difficult to find the right one for your daughter's 15. But don’t worry too much. 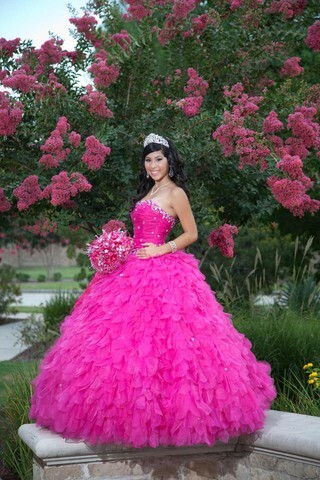 We are here to help you find a quinceanera photographer that will provide you and your daughter with a lifetime memory! Note: Before you begin, ask your friends and relatives if they have dealt with any good 15 photographers in Austin. Be sure to explore those recommendations based on whose opinion you value the highest. But you should never ask a relative to take pictures unless you have to (or they are a professional). Family and relatives should be able to relax and enjoy the festivities instead of trying to learn how to work a camera. Plus, these are memories that will last your daughter a lifetime, so why not let a professional capture them? Photography is one area where you might want to consider paying a little extra for a really good photographer because of their ability to turn the smallest moments into the memories of a lifetime! Experience Level - Has this person photographed other quinceaneras in Austin TX? Does he/she do this for a living or for fun? Photographic Style - Are the photographer's examples similar to what you would like to see in your quinceanera photo album? Do you want a mixture of black and white or only color photographs? Do you want video? Truth in Advertising - Is the quinceanera photographer you are researching the one that the company will send to do the work? Or will it be whomever is available? Don't be shocked. This can happen. You should be certain that you know which photographer is going to be there AND that you see work AND meet with that photographer face to face to discuss everything. Personality - Is the quinceanera photographer that you are thinking about hiring someone that you can get along with? Is there chemistry with him/her? Will they be able to take pictures without disrupting the ceremony and fun? Personality goes a long way. Target photographers that are flexible and willing to listen. You also want someone who can corral 15 teenagers without any problems. Shy photographers can sometimes have problems with quinces. Appearance - Ask them how they intend to dress. Are they well-groomed? This is more important than you think. Sloppy photographers can cause guests to feel uneasy. They also tend to have problems organizing. Pricing - Even though the last thing you want to do is shop by price, is your Austin photographer within your budget? If not, is he or she worth the price difference? Make sure you understand what everything costs, including reprints and albums. You should also look at quinceanera photography as an investment in memories. Years from now when you and your daughter look back on her 15, you will want the photos to be magical, almost like a fairtyale. So paying a little extra for extraordinary work may be worth it in the long run. Delivery - How long will it take to get proofs back? What about your personalized thank you cards, your finished album, your Quinceanera portrait, etc.? These are all things to ask so you are not waiting forever for photos to come back. The sooner the better because it is always best to be able to share these pictures with family and friends while the memories are still fresh in their heads. Offering - Whether it is an individual or package deal, do you understand exactly what you're getting? Is there room for upgrades? How much will it cost to do so? Packages are sometimes fixed and other times they can be customized. Regardless of what you think, you should ask. If you are ever in doubt or unclear about ANYTHING when planning your quince, you should ALWAYS ASK QUESTIONS. This is the only way you will be assured of exactly what you are getting. The bottom line is to always make sure that you know what's coming. Surprises can be expensive! Contract - Is the contract fair? Do you understand it? Is everything clearly spelled out? When it comes down going to court, only what is WRITTEN really counts, not what was promised. Make sure that you have no doubts before signing. Read it ALL. Twice. Things to look for in the contract- What does it say about deposits and payments? What about cancellations and/or the quinceanera photographer not showing up? References - Personal references are always the best. People love to talk, so get a list of references from your prospective Austin photographer and check them out personally. A photographer who doesn't have references or is afraid to give them to you IS NOT be the person that you need to hire. Have you shot a quinceanera in Austin? Have you shot a quince at my location/reception hall before? How much extra for unmarked proofs? Do we get to keep our negatives? How long do you keep the negatives and will you sell them to us? Do you use high speed film to expose natural light? Do you have tele-photo and wide-angle lenses? Do you process and develop your own film and prints? the prices on the brochure they gave you are the prices that you will be charged. The cutoff date for advertised brochure prices. All additional charges, services, taxes, travel, etc... Always get the EXACT cost on the contract. An explanation of what happens if your photographer doesn't show up.